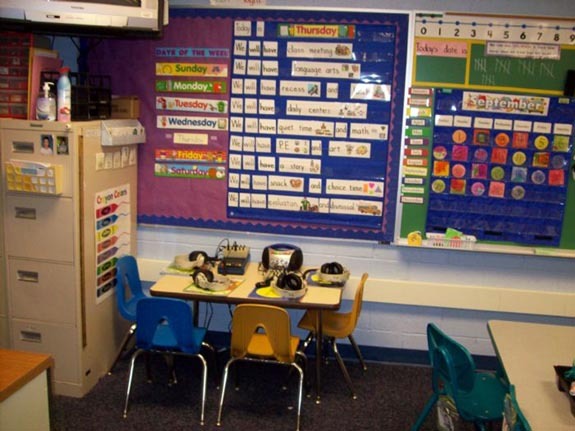 Jeanine Horner shares her efficient and delightful Kindergarten classroom. 1. 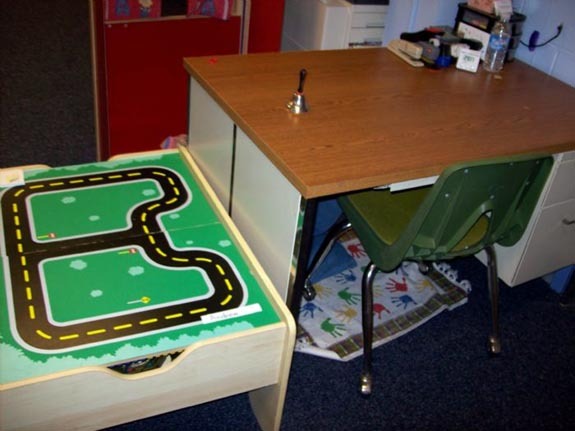 Here is my desk and you can see the train track table next to it. When you lift up the top, there is an empty compartment in which I keep a CD listening center. The tracks are under the table. The other side of my desk has magnets holding puppets. 2. Under my desk is a relaxation station, also know as a safe place. 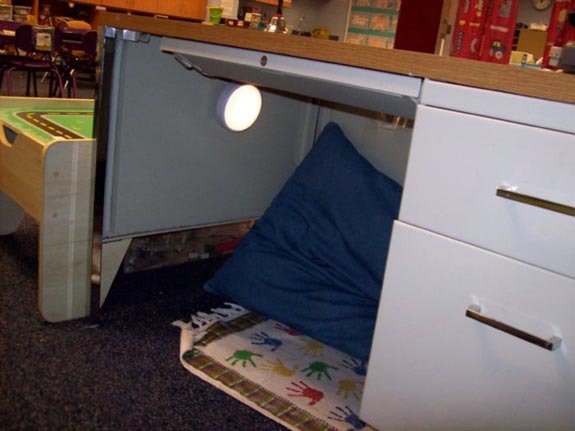 It doubles as a favorite reading spot with a tap light attached to the underside. 3. I have 2 tape recorders set up at this table for 2 listening centers. Above it, you can see my daily schedule with our calendar to the right. 4. This view shows the front of the room. 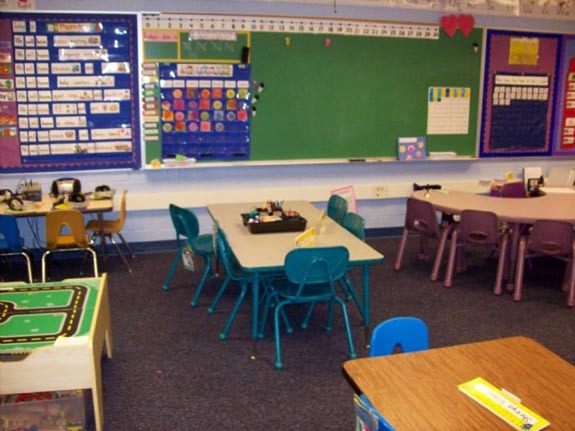 We do our calendar math from our seats and the children look up to this area.